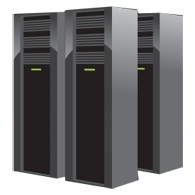 Take a look at our Dedicated Server plans below, to choose the best solution for your needs. WebmasterDeveloper.com offers a number of Dedicated Server solutions to cover nearly every need. With three options to choose from–Web, Standard, and Datacenter–you can select from a number of platforms that meets your needs and budget. Windows Web Server is an ideal web services platform; Standard supports additional roles, such as Hyper-V; while Datacenter delivers an enterprise-class platform for deploying business-critical applications. We offer you the most advanced, cutting-edge technology, so your web site can be as sophisticated--or as simple--as you need it to be. In addition, we offer multiple domain pointers, POP3 email, Shared SLL for e-commerce and security, and a host of other features! 06.18.2007 - Our web hosting service was chosen as a Windows Web Hosting Award Winner for the month of June 2007 by Web Host Directory, webhostdir.com. The directory's awards panel visit the top voted hosts by site visitors in each category and then determine the winners.